As an employee, how do I view my schedule? You can view your schedule directly from your dashboard. As an employee, you can view your schedule by selecting Schedule in the top navigation. 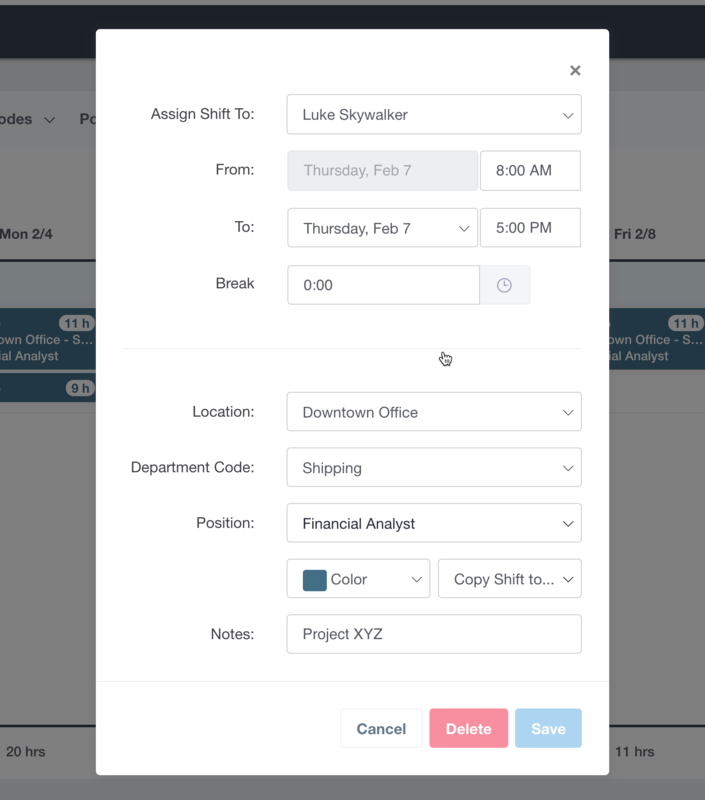 If you click on the scheduled shift, you won't be able to make any edits, but you can view detailed information about the shift including any notes that your Manager or Administrator has added.